A while ago, I came across a fascinating read: Jack White (or at least his crew) apparently requires guacamole to be available when touring. 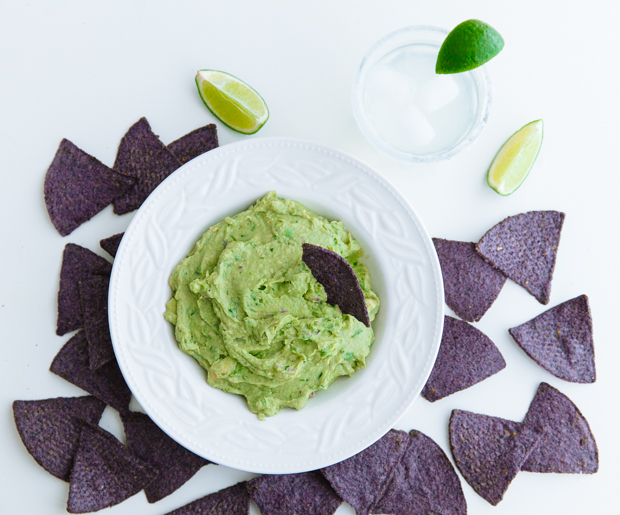 And not just any ol’ guac: there’s specific instructions and measurements sent to venues, so that the humble yet delicious dip is made to their liking. Now, if that’s not proof you’ve made it, I don’t know what is. I kinda get it too- there are certain foods I want cooked and served in a very specific way. Starting with coffee (strong and black), all the way to cooked pasta (for God’s sake, AL DENTE! ), fish soup (broth filled with chunky vegetables, fish served on the side) and cookies (soft and gooey at the centre, slightly crunchy on the edges). I usually however always make these things myself. 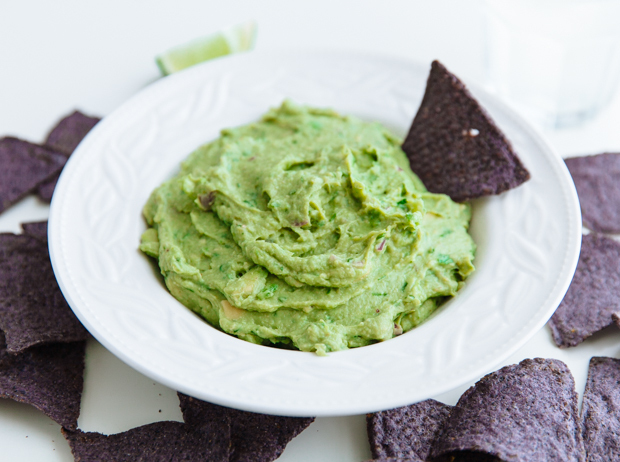 Guacamole also makes the list and is one of my favourite things to eat at any time. I know I’m not alone in this one. I mean, what’s not to love? 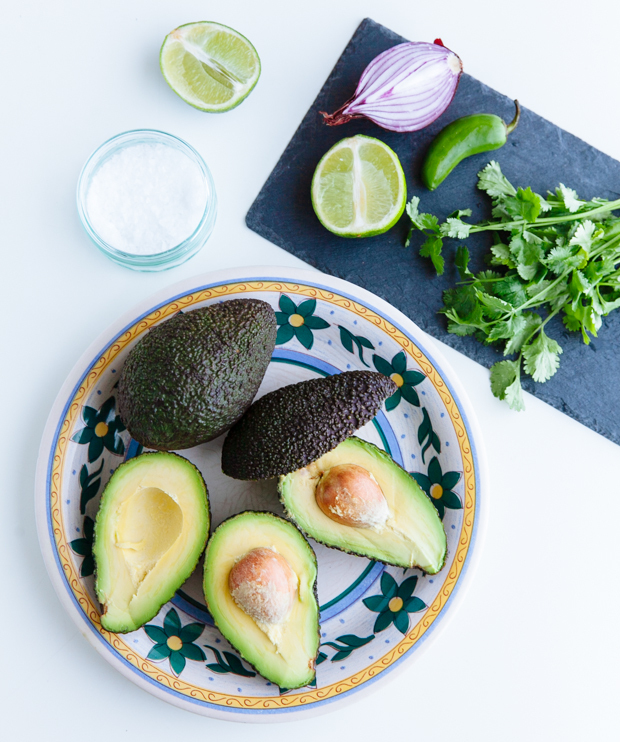 Avocado is such a superstar on it’s own- with it’s gorgeous colour and fresh and velvety texture; pair it with sweet and sour lime, chopped onion, a good handful of strong coriander and fresh chilli pepper and it couldn’t be in better company. 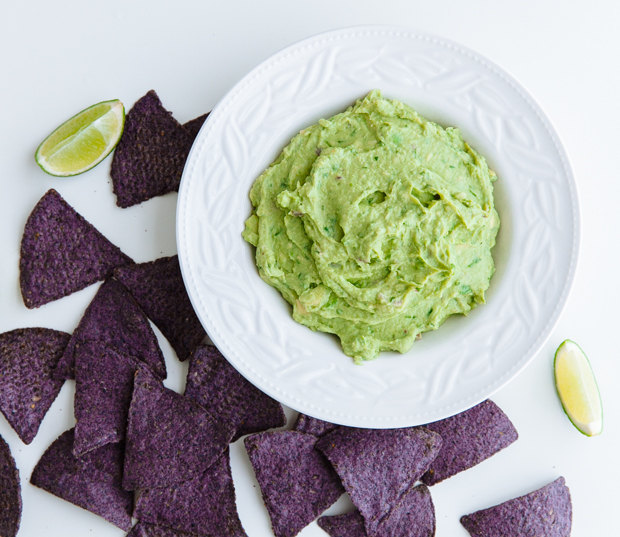 Mash them all up to a gorgeous, pale green chunky mess,grab a bag of crunchy tortilla chips and a couple beers you’ve got a party. Literally. So, I think I’ll keep making this myself and request a full time chauffeur instead, thank you very much. Cut the avocados in half and scoop out the flesh using a large spoon. Keep 2 of the pits. Mix with the rest of the ingredients and mash either with a fork, or in a food processor for a smoother consistency. Put the mixture in a serving dish and serve, preferably immediately, otherwise, add the two pits in the dip (they will prevent it from turning too brown). Remove them just before serving and give everything a good stir. Hi! Just curious, don’t you add tomatoes to your guacamole? I always dice some in mine and mash the whole thing with a fork so that it’s neither too smooth nor too chunky. Yes, I sometimes do, if I have some super ripe, super tasty ones at hand. I usually though make it without, just to allow the avocado’s creaminess and subtle flavour to shine! What’s your ratio of avocado to tomato? Hmmm no idea but the end product is mostly bright green with some red (tomatoes) and dark green (coriander) intervals. I guess 2-3 cherry tomatoes per avocado? Sounds beautiful! Will def try it next time.